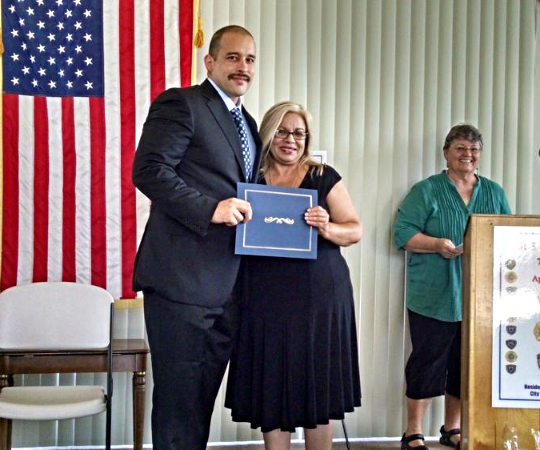 Mayor Muñoz-Schnopp presents award to Rocque Lopez, Jr. as Penelope King looks on. 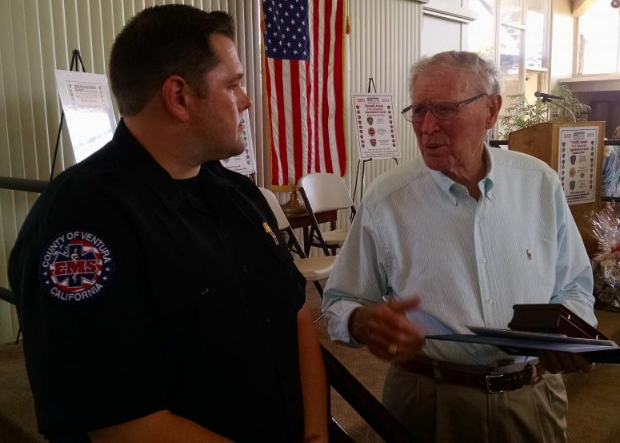 Since 1971, the good people of Hueneme Bay have honored our first responders with annual awards. Originally an effort of the Kiwanis Club, the program has more recently been taken over by the Carefree Living Association. Mayor Sylvia Muñoz-Schnopp and Board President Penelope King presented this year’s awards to Senior Police Officer Roque Lopez, Jr., Federal Fire Engineer Torrey Lee Anderson, and Gold Coast Ambulance Paramedic Philip Keyawa. Sylvia Muñoz-Schnopp and Tom Larkin share a laugh. 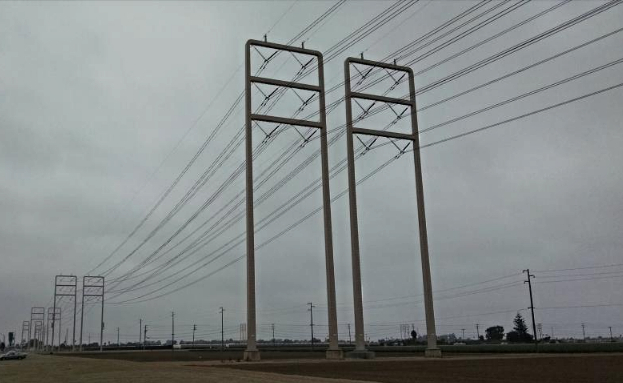 In response to queries from the Port Hueneme City Council, Southern California Edison has informed the city that it plans to replace nearly six miles of cable in the areas of Channel Islands Boulevard and Pleasant Valley Road. Work is expected to be completed in the 2nd and 3rd quarters of 2016. SCE pledges to spend approximately $500,000 per year for maintenance in the Port Hueneme area. The National Defense Authorization Act (NDAA) passed by Congress maintains the existing exemption for Naval operations in the Pacific Test Range regarding sea otters. As a part of the Federal program to relocate a population of sea otters to the Channel Islands, the Navy was granted an exemption to environmental law protecting the otters. Without such an exemption, operations in the Pacific Test Range could be delayed or jeopardized all together at the cost of millions of dollars and concomitant effects on national defense. The relocation program was ended and deemed a failure when most of the otters did not remain in their new locations. With the ending of the program, the Navy’s exemption also ended. Bipartisan support from Congressmembers Steve Knight and Julia Brownley succeeded in including Range protection language in the NDAA. The President has threatened to veto the Authorization Act over issues related to funding the Overseas Contingency Operations fund. The Administration believes that the OCO is being used as a means to avoid complying with Congressionally mandated spending caps. So we watched an inspired, passionate Phil Ranelin set at the Watts Towers Jazz Festival on Sunday; it swept the crowd despite the amateur antics of the sound guy. Wonderful stuff. Pablo Calogero does amazing things on the soprano sax without ever venturing into the overwrought preciousness that afflicts that horn. What a wonderful player. Phil’s trombone playing is like expressionist watercolors, gorgeous and imaginative and just a tad out, and the alto player whose name escapes me was superb as well, just a hint of dry, a fine soloist. Don Littleton was on drums, good as always and smiling as the bassist nailed it over and over…I’m afraid I wasn’t being a journalist–been avoiding it–and got neither his name nor the pianist’s. Then we headed way out to Altadena for a BBQ and ran into Winston Byrd in the local Ralphs. He was shopping, not blowing high notes on the trumpet–that would have woken up the customers–but jazz, apparently, is everywhere. Or jazz musicians are everywhere. But I did have my mind blown by a poet at Watts, which doesn’t happen often. Los Angeles Poet Laureate Luis J. Rodriguez read a couple pieces–great stuff, it’s no wonder he got that primo gig (and he had them memorized, which amazed me). But it was his son Ramiro who really zapped my cerebral cortex. Maybe because a relative brought on stage is usually a comparative let down, I could not believe how good this Ramiro was. Pop’s stuff is widely available but the son is unknown. I’d love to hear more of him. There was this propulsive narrative that put you right there in the scene he was describing (and not a pretty scene, either) and kept you moving and on edge, and the imagery was so vivid, and the emotion so real, the fear and fearlessness, the hate and anger, and a disassociated ability to describe it all from a resigned point of view, as if he were in it and observing it simultaneously, it was stunning. Father’s intense pride in his son’s verse was obvious and no wonder. Both had similar, horrific life paths (see dad’s website for details) seemingly reversed completely by poetry. I never thought that actually happened. Terrific stuff and a great follow up to Phil Ranelin’s brilliant performance. Even the audience listened with equal intensity. Sometimes words work, I guess. Anyway the BBQ was a nice family affair when we got there. Perfect in the heat. The moon, looming large, turned blood orange and disappeared. We watched. Altadena was hushed, even the birds silent, only the idiot tree frogs kept up their songs. Eventually the families had to take the kids home and tuck them into bed, and the responsible people–now responsible, though once thoroughly ill behaved–went home soon after, tucking themselves into bed. The morrow was a school day. All that remained were a handful of freaks and cultural reprobates at one table, laughing into the wee hours, unrepentant. What it’s like to run a business in Putin’s Russia. The City of Port Hueneme has inplemented a streamlined permitting process for small residential rooftop solar energy systems. You Can Be an Astronaut! Seats on Richard Branson’s Space Ship Two sell for a mere $250,000. Come join us at Sessions at the Loft Saturday, Oct. 10 at 7:30-9pm to experience beautiful jazz singer, Daniela Spagnolo. This gifted artist captures the attention of audiences as she tells stories with her brilliant original songs and exquisite voice. For the first time in city history the Mayor of Port Hueneme gave two presentations of the annual State of the City address: a morning presentation at the Chamber of Commerce breakfast, and an evening presentation at City Hall. 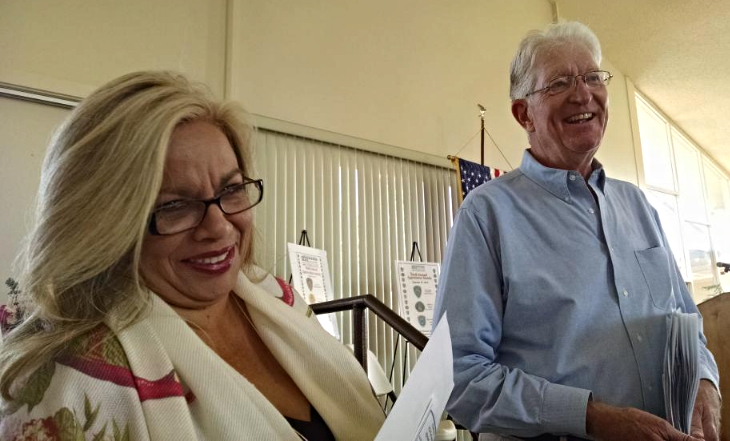 While acknowledging the difficulties facing Port Hueneme, Mayor Sylvia Muñoz-Schnopp emphasized the many positive achievements of the past year. A full allotment of sand from the biennial Channel Islands Harbor dredging restored the beach to some measure of health bringing more activity to Hueneme Beach Park. The city was able to get $2million from the State of California to help defray repair costs. The promenade was widened and improved. Surfside Seafood has added a covered service area which, coupled with regular live entertainment, has meant record business for the operator. The Farmers’ Market opens every Saturday providing fresh produce for a part of town that is otherwise over 2 miles away from the nearest grocery store. The Chamber of Commerce has hosted Sunset Suppers on the second Tuesday of each month through the summer season featuring gourmet food trucks. Sand on the beach has also meant the return of the popular Sand Sculpture Contest. 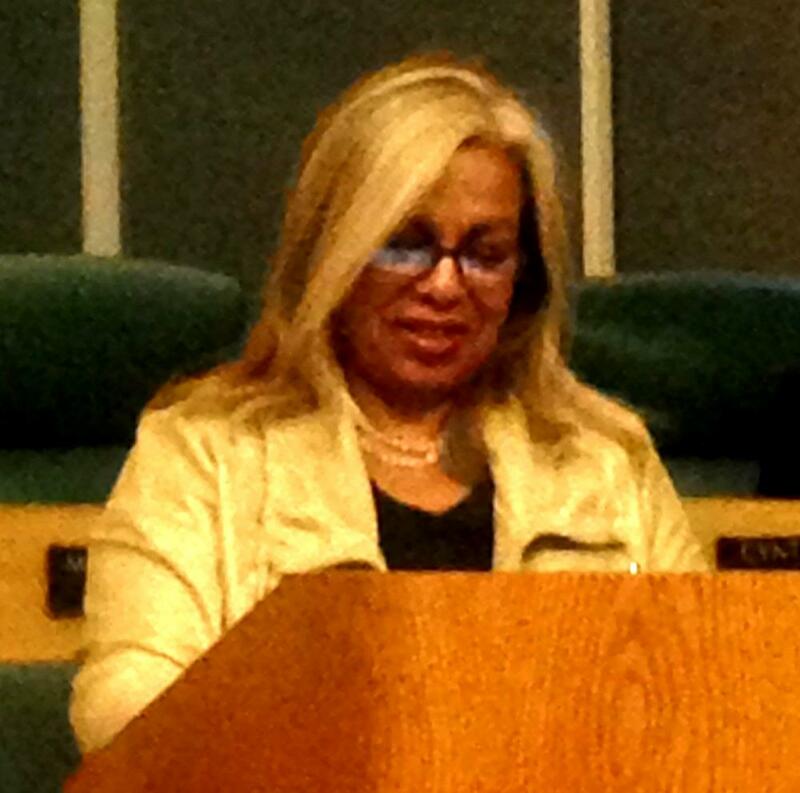 Mayor Muñoz-Schnopp remarked on the difficulties that a city like Port Hueneme has in raising revenue. With no large sales tax generators and no freeway access, the city’s sales tax revenue is among the lowest in the state. Being virtually built out means that there is no real possibility of realizing any revenue from new construction. Meanwhile, the city has been hit hard with additional charges. Damage to the beach area resulting from Federal and State inaction totaled nearly $5million. The dismantling of Redevelopment punched a big hole in the budget. This past year the State Department of Finance changed some of its definitions, putting over $1million at risk. 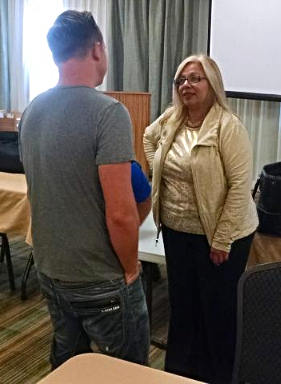 Mayor Muñoz-Schnopp gave a great deal of credit to City Manager Cynthia Haas who, in her short tenure has cut the general fund operating budget from $17.6million to $16.8million by achieving efficiencies in staffing and organization. The city now uses county probationers for menial landscape work and contracts for a building official rather than keeping a full time manager. “Lean is the new normal,” said the Mayor. There are bright spots on the horizon, however. “When you’re in a valley, the only way out is up,” said the Mayor. Ross Dress for Less is scheduled to open before the end of the year bringing valuable sales tax to the city. The Victoria Avenue mixed use project is moving through the Coastal Commission bureaucracy, but is still on track for final approval later this year. The conversion of the Surfside Motel to apartments is also nearing completion. One of the more intriguing efforts announced by the Mayor is REACH: Recreation, Education, Activities, and Culture in Port Hueneme. REACH has been established as a non-profit organization capable of accessing funding that may not be available to city government. It’s purpose is to provide a community-building service to the residents of the city. Finally Mayor Muñoz-Schnopp displayed a graphic with the seal of the City of Port Hueneme flanked by the logos of Naval Base Ventura County and the Oxnard Harbor District. “These are two cities within a city,” she said. Invoking the memory of Sen. Thomas Bard who built the original wharf, she pointed out that Port Hueneme has always been a maritime city. “Collaboration and co-operation are necessary” for all three entities to move forward together. No one seems to look at is this way, but right now Donald Trump is supported by about 10% of registered voters, and Bernie Sanders about 15% or even 17%. Or let’s put it this way–right now nine out of ten American voters do not want to vote for Donald Trump, in fact most would not vote for him under any circumstance whatsoever. Among other reasons, they loathe him. It’s hard to win over people who hate you and wish you had never been born. And eight or so out of every ten American voters are not feeling the Bern to various degrees. Some aren’t feeling it a little bit, and perhaps some of those could be swayed. Some aren’t likely to feel it all and would feel safer with a moderate Democrat or even a moderate conservative than a life long socialist. And some feel about Bernie the way almost everyone else feels about Donald Trump. That’s the math. True believers in both camps will claim not to believe in math. A mandate is a state of mind. In the 1840’s a teenaged Louis Moreau Gottschalk left his home in New Orleans to seek his fortune in Paris. He made such an impression that no less a luminary than Frédéric Chopin proclaimed him “the King of Pianists”. Since then the Crescent City Crown of pianistic royalty has had many worthy claimants, from Professor Longhair and James Booker on down to Tom McDermott today. Yet, undoubtedly the undisputed reigning King is Dr. John, Mac Rebennack. 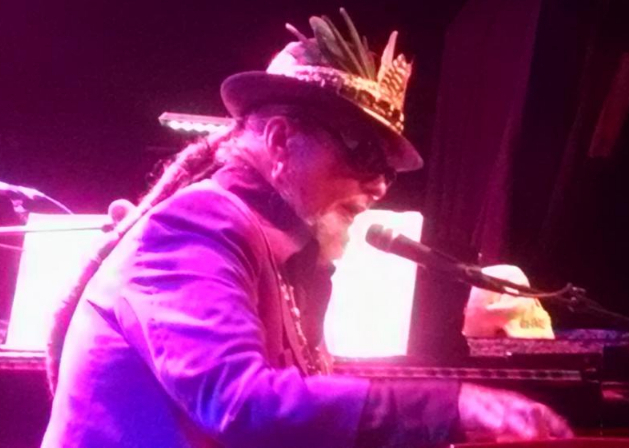 Dr. John brought his tranformative blend of voodoo funk blues to the Canyon Club in a rare local appearance amazing an audience where every third member was a piano player. LA’s own Sayed Sabrina opened the show with a powerful performance, by turns reminiscent of Dinah Washington, Tracy Nelson, and Janis Joplin. When you close your set with “Turtle Blues“, the intent is pretty clear. Many try, few succeed. “I’m your hoochie-coochie gal,” she sang. Oh my, yes you are. In the 1950’s young Mac Rebennack worked as a musician in New Orleans playing guitar and piano as well as producing records for numerous local artists. He moved to California in the early ’60’s for his “health”. In New Orleans he’d had part of a finger shot off, served time in prison, and developed a serious drug problem. He got to LA just in time to join the famous Wrecking Crew, playing on numerous hit records. Yes, that’s him backing Sonny and Cher. In the late ’60’s he had the notion to combine New Orleans VooDoo and Screamin’ Jay Hawkins theatricality with a touch of psychedelia. 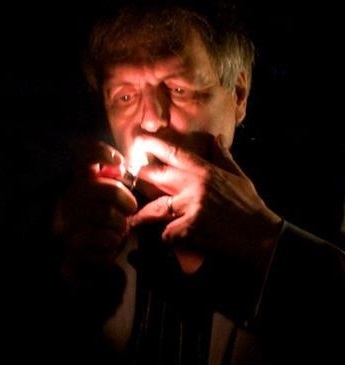 In a puff of purple smoke, “Dr. John, the Night Tripper” was born. Making his way onto the Canyon Club stage, he set aside his skull-headed cane, sat down at the piano and launched into “Iko Iko“/“Shoo Fly Marches On“. The groove was set, and it led straight down the bayou. Though at 74, his chops may not be as crispy clean as they once were, the sheer inventiveness of his playing was a wonder. The flashy solos and mighty left hand still amaze, but the real joy is watching him accompany the rest of the band. Every genre has its standard licks and fills, but Dr. John never just riffs without intention. The sheer imagination of the man is stunning. On the thematic (and necessary) “Tipitina“, for example, he plays around with the beat, a little drag here, a little push there, and although we’ve all heard the song a million times, it sounds fresh and new. The hour and a half show surveyed a half century of performance from 1968’s “I Walk on Guilded Splinters/Gris Gris Gumbo Ya Ya“, to his most recent release. And, oh yeah, 1973’s “Right Place, Wrong Time” featuring some of the nastiest funk clav this side of the ’70’s. Dr. John’s most recent release is Ske-Dat-De-Dat: The Spirit of Satch, a reimagining of songs associated with Louis Armstrong. The two songs selected from that album provide a contrast in mood and style. “Wonderful World” becomes an uptempo joyous romp, while “Mack the Knife” is dark, funky, and menacing. The farewell song, as always, was Allen Toussaint‘s little pop wonderbox, “Such a Night“, and ‘though we all know Dr. John will take it out in a syncopated chromatic break, it’s how he does it that keeps us marveling in slack-jawed amazement. A word needs to be said about the Night Trippers. 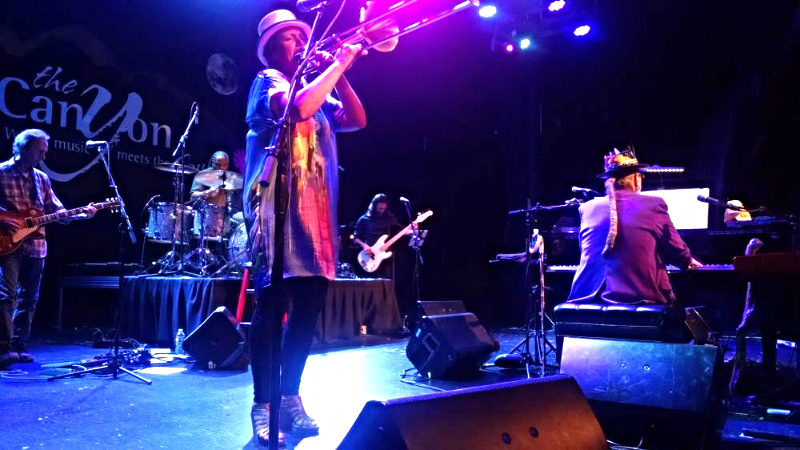 A strong performer like Dr. John needs a strong band. All aces on their instruments, they are led by the wonderful Sarah Morrow on trombone, a world-class musician and bandleader in her own right. While it’s not always easy being in a touring band, these guys were having a blast, playing off of the piano and each other. At the end of most shows it’s customary for the performer to thank the audience. How many shows have you seen where the audience yells out “Thank you!” to the performer? 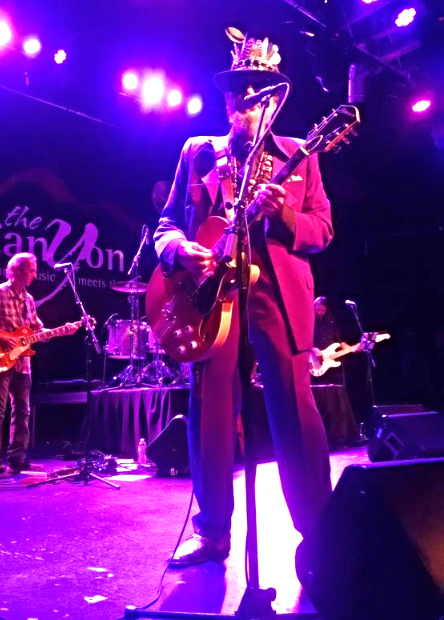 It happened at the Canyon Club. Cracks in the Cocoli Locks must be repaired before new Panama Canal can open. 25% accross the board cuts to headquarters functions.